A key strategy and philosophy of LiveWell Colorado has been supporting the capacity of communities to engage in changes they deem necessary to build access to healthy eating and active living. Over the past ten years, there is much success to celebrate regarding LiveWell Community Partners, so it is difficult to highlight just ten of the ways that they have accomplished these goals. But the following is our effort to do so. Congratulations and continued success to these dedicated individuals and organizations! Creating New Nonprofit Organizations: Several former LiveWell Communities have created new nonprofit organizations to align their community programs and grants that were launched under, or in tandem with, their LiveWell initiative. 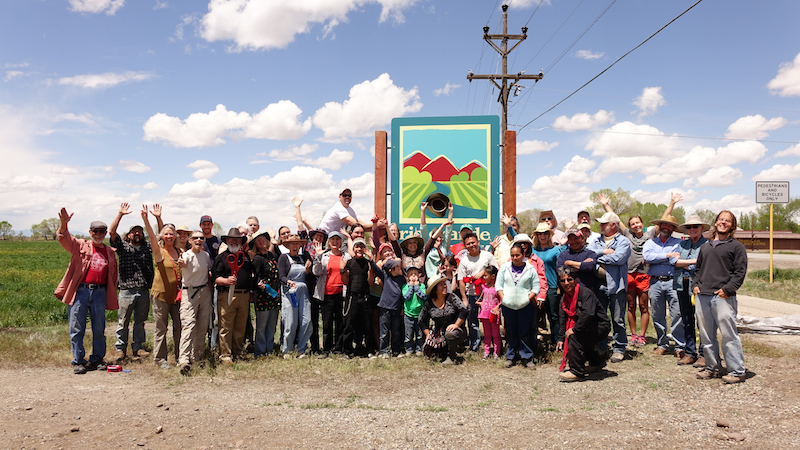 The San Luis Valley Local Foods Coalition was created in 2009 when the community realized it had significant momentum to build capacity for the local food system. In 2011, they received 501(c)(3) status. Since that time, they have developed a robust earned income stream as well as generating grant, individual giving, event, and business contributions to support the Valley Roots Food Hub, Rio Grande Farm Park, and many other farm to table programs. In Prowers County, the LiveWell community received several large multi-year grants after significant work to build a local coalition of community partners and individual members. To bring all of the work together and create one brand for the healthy community work, the coalition rebranded itself as the Big Timbers Community Alliance, a project under the Colorado Nonprofit Development Center. Policy and Systems Change: Through policy and systems change, communities begin to dismantle barriers that prevent access to healthy living for all residents. Several local health departments are embracing this approach to address the root causes of obesity. Larimer County Department of Health and Environment is working to both adopt new and update existing plans and policies that support access to health through an improved built environment. Their goal is to increase residents’ opportunities to engage in physical activity. Similarly, El Paso County Public Health’s Environmental Health Division is collaborating with local governments and agencies, developers, and the public to ensure better access to healthy living through land use planning and development activities. Government Grants: Through state and federal government grants, LiveWell communities have successfully funded programs and community improvements identified by the community. LiveWell West Denver’s Safe Routes to School efforts supported a Denver-wide Coalition and contributed to an initiative at the City of Denver that has received several grants through the Colorado Safe Routes to School Grant Program. The grants build bicycle and pedestrian safety enhancements and also educate about and encourage biking and walking to school. Garfield County Public Health, with a three-year grant from the Colorado Department of Public Health and Environment, is improving the quality of foods and beverages across the county, supporting municipalities and businesses with workplace wellness programs, and enhancing the built environment to better support physical activity. LiveWell Bent County community champions spearheaded efforts to create a recreation league. Local officials joined with the LiveWell community to secure over $2 million from the Colorado Department of Local Affairs to renovate an existing building which now houses the Recreation Facility & Senior Center, which has been integrated into the county’s management and budget going forward. Philanthropic Investments: Colorado philanthropic foundations interested in making deep impacts have sought partnerships with LiveWell Communities, understanding the historical investment in leadership development, assessment, and evaluation that was a cornerstone of LiveWell Colorado funding. Because of their sound foundation, Westwood Unidos was awarded one of the Colorado Health Foundation’s Healthy Places grants, resulting in improvements to the safety and accessibility of walking, biking, and recreation for residents. Early on, LiveWell Northwest Colorado identified the need to improve recreational opportunities in Oak Creek, a small town outside of Steamboat Springs. Through multiple grants from Great Outdoors Colorado, a number of parks and trails have been built or renovated in the area, significantly increasing access to the outdoors for residents of all ages. Leadership Development: Investment in leadership development to create lifelong champions for HEAL is sustaining work in many communities. Lake County Build a Generation has a history of hiring youth interns to work on strategies. A recent example is the creation of an Active Spaces Map that will highlight public recreation spaces and current Safe Routes to School infrastructure followed by social media challenges to get people to the spaces and get them active. Cultivando, formerly known as Community Enterprise which housed LiveWell Commerce City and LiveWell South Adams County, trains Spanish-speaking community leaders on policy and systems change. Simultaneously, Cultivando works to build relationships with municipal partners and to teach them to be inclusive in their policy-making process. The end result is strong local policies created collaboratively with community. Additionally, the community based coalition, Share Network, in Northeast Denver, focused on community leadership development through their Block Captain, Neighbors Together, and Wise Council leadership programs, promotion of network development among agencies and residents, and provision of mini-grants to community organizations and businesses. HEAL Cities & Towns Campaign: When the HEAL Cities & Towns Campaign kicked off in June 2013, many LiveWell Communities approached their city council members and staff to join the Campaign. Joining the Campaign was a great way to highlight the HEAL work the LiveWell Community had already collaborated on with the city and make a public commitment to expand and continue this work, resulting in more access to healthy living for residents. Two examples include the work LiveWell Wheat Ridge and LiveWell Montrose Olathe cooperated on with their respective municipalities. Over the years, LiveWell Wheat Ridge worked with the city to conduct rigorous bicycle and pedestrian evaluation to build the case for an active transportation infrastructure that contributed to the city allocating local and federal dollars for bicycle, pedestrian, and recreation amenities. In Montrose, the city collaborated with the LiveWell community and Valley Food Partnership to create a community gathering place that promotes healthy living through the construction of Montrose’s first community garden. The garden was the first of now four community and five school gardens located on city and school property. 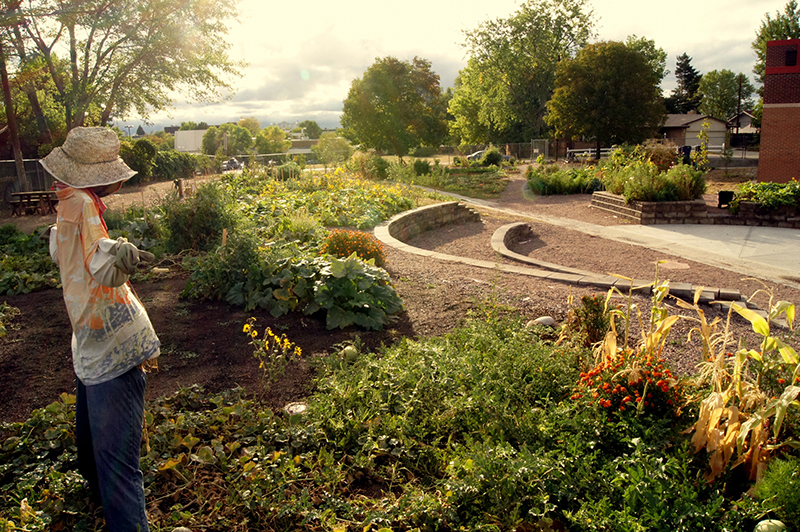 The original community garden is currently operated by community volunteers with support from the city. Colorado Food Policy Network: The Colorado Food Policy Network builds the capacity of local food system coalitions to effect change by advancing regional and state level policies, investments, and strategies. Several LiveWell Communities created food systems councils and are part of this important network. The Denver Sustainable Food Policy Council brings together the work of many of the Denver-based LiveWell Communities to address food access and affordability, food businesses, food production, and healthy food education and promotion. Growing Partners of Southwest Colorado was an essential partner for both LiveWell Montezuma and Healthy Lifestyle La Plata in their efforts to build a healthy, local food system and continues to be a leader addressing equity in the food system in this region and across Colorado. Municipal Budget Allocations: While many communities sought grant funding to build infrastructure to support healthy eating and physical activity, others advocated for city dollars. Park Hill Thriving Communities successfully funded the renovation of the City of Axum Park using dollars from the Better Denver Bond Program. Salida and Buena Vista city budgets financially supported bicycle, pedestrian, and recreation improvements prioritized by LiveWell Chaffee County, ranging from active transportation corridors to playground equipment. Inclusion in Municipal Plans: LiveWell communities understood the importance of participating in municipal policy and planning processes to define the future development of their communities. Globeville Elyria Swansea LiveWell (GES) activated community members during the creation of the City of Denver’s GES Neighborhood Plans and Health Impact Assessment. The community members specifically provided input to stress the need for what residents desired, with a lens of health justice, regarding sidewalks and trails, housing and parks, shopping and jobs. LiveWell Longmont worked tirelessly to ensure inclusion of both healthy eating and active living principals in the Envision Longmont Comprehensive Plan to ensure that the health of their community remains a priority for the city. Sustainability: The LiveWell community funding strategy enabled communities to identify gaps in HEAL opportunities in their community and develop sustainable strategies to address those gaps. A study of the LiveWell communities demonstrated a high degree of sustainability across active living and healthy food access strategies, as 79% of 87 total strategies were sustained across a sampling of eight communities. Study findings suggest that community strategies, particularly around environment and policy change, are highly sustainable. Additionally, the importance of including community perspectives when pursuing long-term sustainability has proven to be a critical component of success. Huerfano County’s Washington Underground Recreation Center provides an excellent example of long-term sustainability of a community driven strategy. The Recreation Center was developed based on a community identified need and under the guidance of a community leadership team. Currently, the leadership team is working with a Huerfano County Special District to include the Recreation Center in the Huerfano Parks and Recreation District’s strategic planning process, ensuring the long-term viability of this valuable community resource. Huerfano County provides an illustrative example of how all the former LiveWell communities continue to ensure a stronger HEAL infrastructure and environment in their communities. The ongoing success and sustainability of these communities is both impressive and inspiring.